Like Sampled Spaces #3, this is functional design. 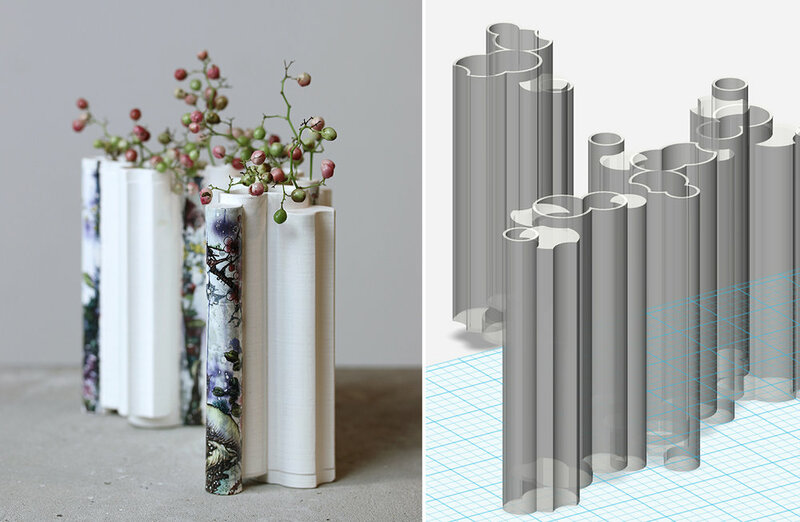 Each individual piece in the is comprised of positive and negative cylinders. This interlocking system invites interaction and allows the vase to adapt and respond to various spaces. For a surface treatment ceramic decals are layered with both traditional chinese decoration with drawn imagery and photographs that have been blurred and distorted.